Read all about ITEC’s latest news and press coverage. Sign up for the ITEC eNewsletter for a regular update on our organization. ITEC is proud to announce a new technology update! We have recently purchased a new 3D printer to be used in 3D printing courses, aboard the TechTransport, and at various events that ITEC attends. This brings our inventory of 3D printers up to 3. This new addition comes just in time for our upcoming 3D Printing Summer Camp. There are only a few spots left, so sign up today! We are excited to be able to expand upon our technology availability to bring the best and most-updated devices to our students. 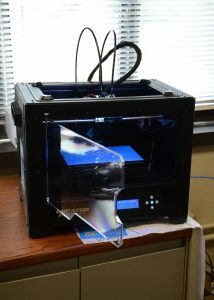 This new printer allows for tons of new opportunities as to where we can offer 3D printing. ITEC is always expanding upon the technologies and software which we use to give ITEC students the best STEM education possible. Look out for similar updates in the future! Flagstar Foundation has generously donated $10,000 to support the 2020 Girls programming during the upcoming school year. Through after-school clubs and summer camps, 2020 Girls cultivates girls’ interest and proficiency in STEM to combat their academic and professional underrepresentation in these fields. Participants benefit from informal learning environments that stress discovery and experimentation, as well as personal interactions with female instructors, mentors and guest speakers. Flagstar’s Sonia Plata had a chance to visit an ITEC classroom during her visit to see our students in action. Thanks again to the Flagstar Foundation for its generous support. We want to extend a large thank you to MSU Federal Credit Union for its continued support of ITEC. Their generous donation of $15,000 will support our overall STEM education initiatives that allow Lansing youth to gain necessary 21st century skills. Thank you, MSUFCU! 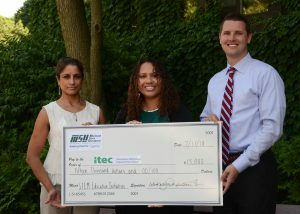 MSUFCU is a longtime supporter of ITEC. We consider MSU Federal Credit Union to be a key partner in ITEC’s efforts to provide sophisticated STEM enrichment activities to Lansing area children. Their support has helped us to reach more children each year with dynamic activities that engage and inspire. Ezra, a student from Post Oak Elementary School, regularly attends our Techtronics courses and has built, coded, and programmed Lego robots. Stemming from this exposure, Ezra dreams of becoming an engineer. With the support of local organizations like Jackson National Life Insurance, ITEC is able to offer students like Ezra the opportunity to engage in engineering and technology classes which are not otherwise offered. This month, Lansing’s Information Technology Empowerment Center (ITEC) has received just over $13,700 from Jackson National Community Fund through matching funds raised by the IT Charity Golf Classic. We are grateful for Jackson National’s continued partnership of our programs through volunteer efforts, funding and board participation. Pollution, equality, bullying and online security are some of the biggest ongoing issues of the last decade, but don’t worry, the youngest and brightest minds are on it. Using ITEC’s Mobile App Design curriculum, our 2020 Girls are tackling these issues. Ten- to thirteen-year-old girls in the 2020 Girls program have entered the Technovation Challenge, a worldwide mobile app design competition, and are determined to make their mark. “The idea behind the challenge is to think of an idea or a problem in the community or world and try to come up with a solution for that problem by creating an app,” said Cristal Martinez, Jackson senior software designer and 2020 Girls mentor. LANSING, MI – Lansing’s Information Technology Empowerment Center (ITEC) has been granted $100,000 from the Dart Foundation to be used toward the TechTransport bus, the iMath program, and for after-school programming at Mt. Hope STEAM Academy and Wexford Montessori Academy. A large portion of the Foundation’s grant allows the Lansing-based organization to continue developing technology skills in students through tutoring and classes aboard the ITEC bus. We would like to thank the Gannett Foundation for its recent award of $4,000 in support of ITEC’s afterschool programs. Their support will enable Lansing youth to build their excitement for science, technology, engineering and math (STEM) through hands-on activities. 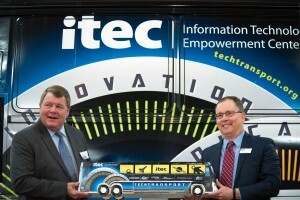 We at ITEC are ecstatic to have officially launched our TechTransport bus Jan. 25 on the LCC West Campus in front of more than 80 attendees, which included community partners, donors and municipal officials. 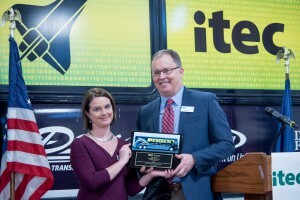 During the event, ITEC Executive Director Kirk Riley presented a TechTransport bus replica to Dean Transportation President Kellie Dean for his support of the program. Kellie discussed his background as a teacher and school Principal and said, “Don’t forget where you came from,” when talking about why he supports ITEC and the Lansing area. WLNS Anchor Sheri Jones introduced the speakers at the event, who spoke about what ITEC meant to them, the importance of contributing to the program and the future of TechTransport. LANSING, Mich. (WILX) A bus could be the key to getting more young students in Mid-Michigan interested in science, technology, engineering and math programs. TechTransport will visit schools in the area so kids can check-out simulated space missions, robotics, animation and game design, and financial-literacy programs. The Information Technology Empowerment Center worked with Michigan State University, Lansing Community College, and several local companies to create it. Is it a school? Is it a bus? Is it a school bus? The answer to all those questions is yes — sort of. The mobile digital classroom is the creation of ITEC – the Information Technology Empowerment Center. The bus is designed to teach online literacy skills to young children, and even help adults with little or no access to the Internet. The project is sponsored by a number of area organizations, including WKAR, which is in turn financially supported by ITEC. LANSING, MI — Lansing’s Information Technology Empowerment Center (ITEC) has been awarded $5,000 from Wal-Mart Stores, Inc. to be used toward its science, technology, engineering and math (STEM) education programs. The American multinational retailing corporation’s award will allow the Lansing-based program to continue developing technology skills in students through tutoring, classes and camps. “We are proud to support ITEC’s mission, which aims to bring brighter futures to students by developing their skills in STEM fields,” said Erik Hingst, Walmart’s director of Public Affairs and Government Relations. ITEC, which launched in 2008, is designed to encourage more students to go into what are called the STEM careers. That stands for science, technology, engineering and math. The goal is to promote technology but also to build a community of kids who aim high — “kids who like school and kids who are wanting to be with friends outside of school doing things like making movies and building robots,” said Kirk Riley, executive director of ITEC. Initially, though, he said 70% to 80% of students signing up for after-school math, computer and robotics programs were boys. That pattern of interest is reflected in career choices later on. Too few women go into high-paying tech fields. Lansing’s Information Technology Empowerment Center (ITEC) has been awarded a $2,500 grant from Comcast-NBC Universal in support of the 2020 Girls program. Comcast has partnered with ITEC in previous years to provide multi-language, low-cost wirless network options for the students and parents who engage with ITEC. 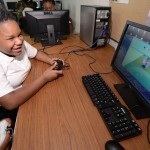 This year Comcast is putting their focus towards ITEC’s girls, specifically supporting the LEGO Robotics, Game Design, Scratch and App Design courses within the 2020 Girls program. ITEC’s 2020 Girls program promotes girls’ interest and proficiency in STEM in order to address their academic and professional underrepresentation in these fields. 2020 Girls introduces girls to instructors, mentors and guest speakers with whom they can identify and activities that capture their imagination. ITEC is proud to be supported by a company that takes interest in the educational growth of their community. Dewpoint, a Lansing-based information technology solutions provider, is celebrating 20 successful years in business, and paying it forward by gifting ITEC’s 2020 Girls Clubs with a $10,000 donation. 2020 Girls helps Lansing-area girls ages 9-13 explore studies and careers in the STEM fields (science, technology, engineering and math.) The girls enroll in robotics, game design, and programming courses so they can learn new concepts, hone existing skills and put their theoretical knowledge into immediate practice. The $10,000 gift will support the program, which promotes self-confidence and relationship building with mentors who have careers in technology. 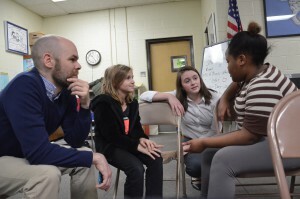 Dewpoint’s President and CEO, Ken Theis, first connected with the 2020 Girls program through ITEC’s 2020 Girls Giving Society. Theis understands the importance of ITEC’s mission to expose students to STEM careers early on. ITEC’s Educational Program Coordinator, Shannon Fransen and Kayla, a 2020 Girls student, appeared on Good Girl Radio earlier this week introducing 2020 Girls prior to the “Grit, Glam, & Guts” annual conference. The free conference empowers young women by connecting them with organizations such as ITEC that help prepare them for college and beyond. ITEC is happy to be participating in the conference and would like to thank Good Girl Radio for the feature. For more information on the conference visit their page here. In order to have qualified IT employees, it’s important to not only look to fill the current jobs but the jobs of the future. Children need to be exposed to science, technology, engineering, arts and mathematics (STEAM) education and skills at an early age so they’re prepared to continue training and education as they age, without falling behind. Our region is fortunate to have organizations like the Information Technology Empowerment Center to encourage children to participate in a global knowledge economy by helping them build technology and STEAM skills. Read the full article here. Current members of the 2020 Girls Giving Society and guests from the Lansing area gathered for a night of recognition on February 3rd, as well as to support ITEC’s 2020 Girls program. The Evening of Empowerment was hosted by Dr. June Youatt at the Cowles House on Michigan State University’s campus. The stars of the evening were Maddie, Caitlyn and Ella, who demonstrated the coding projects, video games and robots they had created while participating in the 2020 Girls program. Their moms talked about how learning in a girls-only environment made a difference for their daughter’s educational confidence. Currently the Society has raised $27,660 in both donations and pledges. The 2020 Girls Giving Society, chaired by former state representative Joan Bauer and Diana Tarpoff, president of the R.E. Olds Foundation, has had two successful events, thirty-five active members and five pledges of membership. 2020 Girls, a program of the Information Technology Empowerment Center (ITEC), cultivates girls’ interest and proficiency in STEM in order to address their academic and professional under representation in these fields. 2020 Girls introduces girls to instructors, mentors and guest speakers with whom they can identify and activities that capture their imagination. 2020 Girls is currently available to middle-school girls (ages 9-13) who attend Lansing STEM Academy, Mt. Hope STEAM School, and Wexford Montessori Academy, but will be open to the public for summer classes at Foster Community Center. ITEC is proud to welcome our new Educational Programs Coordinator, Shannon Fransen. Shannon is responsible for overseeing a variety of educational programs, including 2020 Girls and Techtronics. 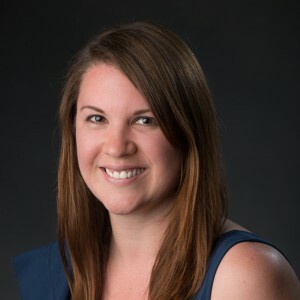 She is also responsible for curriculum design on upcoming programs, recruiting instructors and scheduling courses and correspondence for our TechTransport bus project. Shannon graduated from Eastern Michigan University in 2009 with a Bachelor of Arts in Elementary Education and Integrated Science. 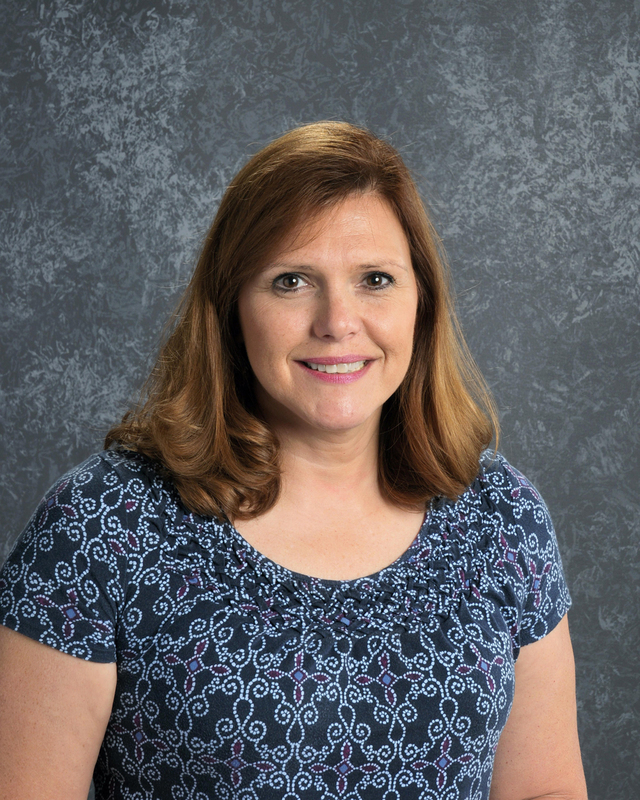 Prior to working for ITEC, she taught Technology for Warrendale Charter Academy as well as Middle School Language Arts for schools in Nashville and Arizona. Congratulations to our students and wonderful coaches on their exciting achievements at the FIRST LEGO League event in Flint! We had two teams in this amazing competition. This year’s theme was Trash Trek. The CHESS Champs placed 13th out of 46 teams and received an award for high-quality research for the project. The project involved collecting t-shirts from the community to turn into blankets for the homeless. 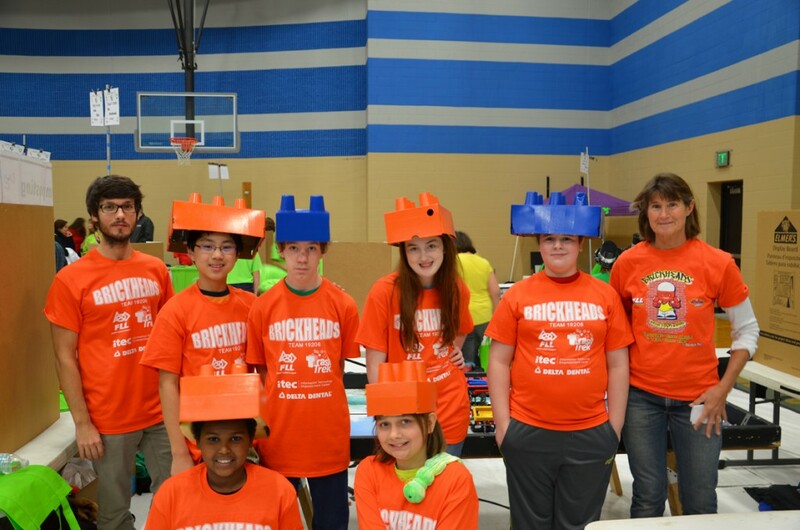 The Lansing STEM Brickheads placed 28th and received the judges award for their support of a teammate after being asked a difficult question during judging. Their project was creating a kid-friendly composting collection bin for their school and spreading the word about the benefits of composting. When you were in school did you ever imagine being an astronaut? Now, you can imagine being a child on TechTransport as you are launched into space to participate in a mission, to solve medical problems and bring back samples to study on earth. You can imagine the sounds of zooming through space and the sights of the stars and planets whizzing past your head. Can you feel the anticipation and excitement in the air? For you, the experience is in your mind’s eye. For thousands of children in the Lansing area, the experience will be real. When you donate to ITEC, you provide Lansing area children and youth with exciting, hands-on, learning experiences that get them engaged in STEM. Teri is a seasoned administrator with more than 26 years of experience in the Lansing School District and is currently the director of Pathway Promise and HOPE/Promise Scholar Programs for the District. Bryan is a native of Lansing, having invested more than 15 years of his career in K-12 and higher education. 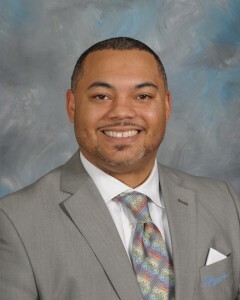 He is currently a member of the Lansing School Board and a Ph.D. candidate in educational policy at MSU. ITEC Welcomes A New Team Member! We recently brought on board a PR and Marketing intern, Haywood Liggett. Haywood is a junior at Michigan State University. He is pursuing a Bachelor of Science degree in journalism with a minor in public relations. As ITEC’s public relations intern, Haywood assists in ITEC’s day-to-day operations, such as writing press releases, contacting local organizations and city leaders to inform them about ITEC programs, creating content for ITEC’s social media sites and more. 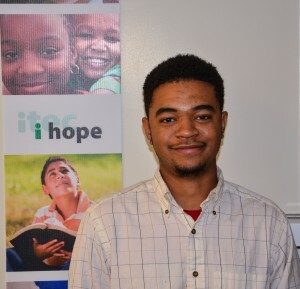 Haywood hopes that by interning at ITEC, he can earn professional work experience in public relations, while also working for a positive project in his hometown. In his spare time he can be found playing his bass guitar at home, catching a sporting event on television, or at a local sushi restaurant. It’s great to have Haywood on board! We’re the happy recipients of a $1000.00 grant from the Exchange Club of Lansing’s Youth Foundation! The Exchange Club of Lansing is focused on supporting our community through volunteerism and activities focused on child welfare. In keeping with The Exchange Club of Lansing’s mission, the grant will fund TechTransport, the ITEC bus. TechTransport will extend unique educational experiences to children in Lansing. The Exchange Club’s support will help us reach children in disadvantaged areas and spark their interest in science, technology, engineering, and math (STEM). A Big Thanks to the Comerica Charitable Foundation! Everyone at ITEC would like to thank the Comerica Charitable Foundation for awarding us a $500.00 grant in support of our 2020 Girls program. Since its inception in early 2014, the focus of 2020 Girls has been on cultivating girls’ curiosity for and proficiency in science, technology, engineering, and math (STEM). In so doing, we hope to combat the stereotype that STEM subjects are somehow “off limits” to girls or better left to their male peers. 2020 Girls is about providing girls with the skills and confidence needed to pursue their passion for STEM. Comerica Bank and the Comerica Charitable Foundation support the communities they serve through consistent investment in charitable organizations like ITEC. Their continued support of 2020 Girls helps ITEC deliver top-notch STEM education to Michigan girls. Thanks again, Comerica! The Information Technology Empowerment Center’s (ITEC) Executive Director Kirk Riley tells Fox 47’s Morning Blend about the network of after-school learning centers that focus on learning STEM curriculum areas through engaging techniques. Lansing’s Information Technology Empowerment Center (ITEC) has been awarded a $3,000 grant from the PNC Foundation in support of its iMath program. iMath is an afterschool tutoring program created to help improve students’ attitudes towards math through a combination of web-based math lessons and tutoring tailored to each individual student. The funds will enable ITEC to expand its iMath program into all five of Lansing’s upper elementary schools. The foundation’s support is helping to increase student math achievement and improve students’ attitudes towards math. The foundation became partners with ITEC in 2013 and has continued to offer its support in endeavors to increase student participation in STEM fields. Lansing’s Information Technology Empowerment Center (ITEC) has been awarded a $1,000 grant from the Uplift Our Youth Foundation in support of ITEC’s new TechTransport bus. ITEC will be converting a 40-foot motor coach, donated by Dean Transportation, into a mobile learning lab. 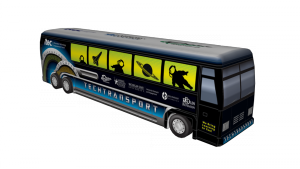 The foundation’s support will enable ITEC to outfit the TechTransport bus with materials and supplies needed to hold classes, workshops, clubs and camps. ITEC’s TechTransport will create a unique and engaging educational experience for Lansing area children by providing science, technology, engineering, and math (STEM) classes and other learning opportunities. ITEC expects TechTransport to serve 2,500 individuals annually, starting in July 2015. The Uplift Our Youth Foundation’s mission is to develop positive change in the lives of urban children through funding of educational programs in the Lansing community. The organization wishes to provide opportunities to Pre K-12 students to foster significant positive change in students’ lives and develop students into future productive citizens. Click here for more information about TechTransport. Mayor Virg Bernero spotlighted ITEC in his State of the City Address. He discussed the importance of a STEM education and preparing our children for the jobs of tomorrow. ITEC’s TechTransport was featured in Capital Gains, an online magazine and website showcasing the growth and investment transforming the Lansing region. The feature profiled TechTransport and how the bus will help bring STEM education to local communities. Read the full article here. LANSING’S INFORMATION TECHNOLOGY EMPOWERMENT CENTER ROLLS OUT TECHTRANSPORT BUS! At 10:00 a.m. on November 18th at the Foster Community Center, Lansing’s Information Technology Empowerment Center (ITEC) will be rolling out the TechTransport Bus. Kellie Dean from Dean Transportation will serve as the Emcee for the event. Other speakers include The Honorable Virg Bernero, Mayor of the City of Lansing; Dr. Brent Knight, President, Lansing Community College; Hiram E. Fitzgerald, Associate Provost, University Outreach and Engagement, Michigan State University; Yvonne Caamal Canul, Superintendent, Lansing School District; Diana Tarpoff, R.E. Olds Foundation and Rita Stoskopf, Joe D. Pentecost Foundation. The Roll-out will provide an opportunity to learn more about the exciting programs that ITEC offers and see the bus that is being transformed, along with a vision of the completed bus, viewed through Oculus Virtual Reality goggles. We will also be recognizing two major donors, the R.E. Olds Foundation and the Joe D. Pentecost Foundation, who collectively have donated $75,000 towards transforming a 40-foot motor coach, donated by Dean Transportation, into a mobile computer learning lab. The bus will provide students with the opportunity to attend STEM and other educational programs throughout the Lansing area. ITEC expects to serve 2,500 individuals annually through TechTransport, starting in July 2015. The Bus will feature an interactive, high impact space launch and exploration platform, being designed in partnership with LCC, where students learn how to blast into space, explore other worlds, land their spacecraft, collect samples from the surface and return safely to earth. The Grainger Foundation, an independent, private foundation, has donated $5,000 to the Information Technology Empowerment Center (ITEC) in support of its iMath after-school tutoring program. Kirk Riley said these programs currently serve 4th-6th grade students. Crafted with a dual-layer learning approach, both live tutors and ITEC’s adaptive math tutoring computer programs work together to strengthen math skills. ITEC is a nonprofit, collaborative partnership of community, education, business, and government working with students and families in the capital region to build excitement for coursework and careers in science, technology, engineering and math. ITEC’s vision is to enable Lansing area residents to acquire flexible, transferable technological skills that will allow them to participate in a fast-paced global economy. Kirk Riley, Executive Director by phone 517-708-4391, or by e-mail at kirk@iteclansing.org. 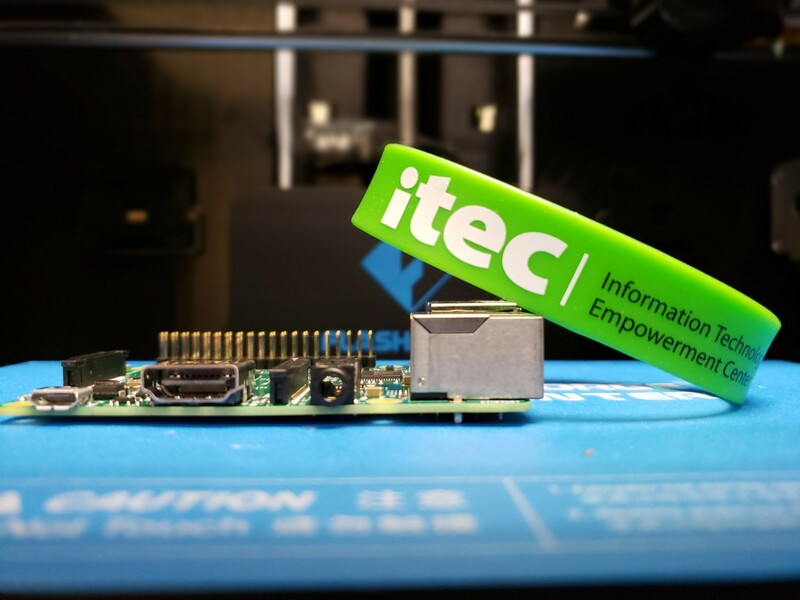 Lansing’s Information Technology Empowerment Center (ITEC) has been awarded a $60,000 grant, payable over two years, from the Dart Foundation for the expansion of its iMath program into Mt. Hope and Wexford Montessori schools for the 2014/2015 and 2015/2016 academic years. The foundation’s support will enable the ITEC to increase student math achievement and improve students’ attitudes towards math through a combination of digital and personal instruction specifically tailored to each individual student. The foundation became partners with ITEC in 2008 and has continued to offer its support in endeavors to increase student participation in STEM fields. The Dart Foundation is a private family foundation established in 1984 by William A. and Claire T. Dart and based in Mason, Michigan. The Dart Foundation is committed to promoting STEM education in public K-12 schools. Among other things, the Dart Foundation offers grants focused on education, community services and disaster relief. Crafted with a dual-layer learning approach, both live tutors and ITEC’s adaptive math tutoring computer programs work together to strengthen math skills in 4th-6th grade students. ITEC’s iMath program provides students with a math experience beyond traditional worksheets and textbooks, offering the program at several local elementary schools throughout the school year and at the Foster Community Center during summer. Through continued support, ITEC will continue to provide education in digital technology to underrepresented and at-risk youth in the Greater Lansing area. Working diligently with community leaders to break down barriers in students’ loss of interest STEM-based learning; together we can make a difference! Local news stations FOX 47 and WILX News 10 covered ITEC’s 2020 Girls summer camps on their respective websites. Read the stories as reported by FOX 47 here and by WILX here. ITEC’s Kirk Riley was interviewed alongside MCWT director Janette Philips in a City Pulse piece on the persistent gender gap in student performance in STEM disciplines, outlining the challenges that programs like 2020 Girls are working to overcome by establishing a supportive classroom environment. 2020 Girls Instructor Michelle Jennings was interviewed on the City Pulse Live Podcast on WDBM to speak about her experience as woman with a career in technology, and how she finds ways to motivate the girls she teaches. Mark Bashore interviews Executive Director Kirk Riley, instructor Michelle Jennings, and 2020 Girls parent Katherine VanZwoll during his Neighbors in Action segment on Current State. Give it a listen here. Mike Maddox and Amy Mumby of Mid-Michigan’s premiere technology podcast interview Kirk Riley on ITEC’s youth programming for summer 2014. 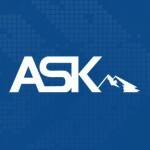 Bottom Line IT is the brainchild of Lansing-based IT products and services provider, ASK. Listen to the full interview posted on JustAsk.net here. covered Executive Director Kirk Riley’s visit to its June meeting in a blogpost here. ITEC was also chosen as the beneficiary of Lansing Rotary Foundation’s 2014 Golf Outing, taking place this fall on Monday, September 8th at Walnut Hills Country Club. Find out more about registering to play at the event website. Sarah Worsham from Lady Paragons, a community supporting women in STEM, attended a 2020 Girls class and wrote an article on the Lady Paragons website to support and spread the word about the program. Read the full article here. ITEC was recently spotlighted in the Lansing State Journal along with Impression 5 Science Center and Jackson National Life. In the op-ed, Executive Director Kirk Riley discusses ITEC’s mission, impact, and the rewards that come with inspiring Lansing’s students. In case you missed it, read the full article here. Parents looking for meaningful ways to keep their kids busy over spring break need look no further. ITEC is now taking registrations for its spring break camps! From April 7 to 11, students ages 9 to 14 are invited to participate in Game Design and LEGO Robotics camps at Foster Community Center. The cost per student is $30 per five-day camp, and income-based scholarships are available. Each camp runs from April 7 to 11. 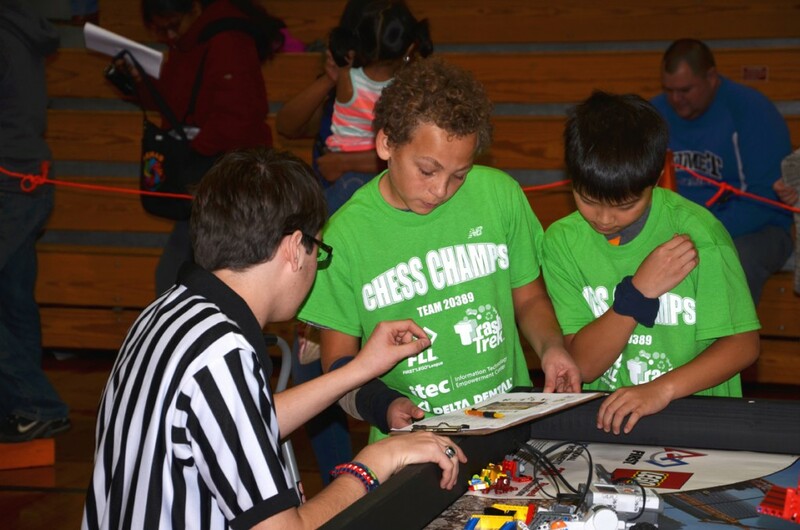 The Game Design camp takes place from 9 a.m. to noon, while the LEGO Robotics class runs from 1 to 4 p.m.
For registration information, contact Joe, joe@iteclansing.org, call (517) 708-4392, or stop by the ITEC office in the Foster Community Center, 200 N. Foster Ave., Lansing. Each Sunday, the Lansing State Journal chooses a local nonprofit organization to spotlight and ITEC was recently chosen to be featured! The article shares how ITEC has impacted the Lansing community and the programs it offers, like our new 2020 Girls program. It also shares how attending iMath classes helped ITEC student, Destiny, change her attitude about math and become “proud and happy” about the work she’s doing. Read the full article by clicking here! ITEC’s 2020 Girls was also featured in Michigan Nightlight, an online publication covering news and solutions that impacting the lives of Michigan’s children. The online source featured a profile on ITEC’s new 2020 Girls program and how it’s helping young women become more involved in STEM studies. Read the full article here. 2020 Girls was also featured in an article in Capital Gains, an online magazine covering the growth and investment in the Lansing area. Executive Director Kirk Riley and Michigan Council of Women in Technology Vice President Maria Jasinski are interviewed about the program launch. Read the full article here. Grants enable ITEC robotics, iMath and more! ITEC has been awarded a $20,000 grant from the Jackson National Community Fund to be used toward programs. The Jackson National Community Fund, based out of Lansing, Michigan, regularly awards grants to programs and organizations that support the social and economic well being of the community. This contribution will allow ITEC to continue providing technology skills to children and will advance programs like iMath, Techtronics and 2020 Girls. ITEC has been awarded a $10,000 grant from the R. E. Olds Foundation to support and expand its innovative afterschool mathematics learning program, iMath. Last year, students who had 80 percent attendance in iMath showed a grade level increase of 0.84 with some as high as 1.15. Surveys of the kids before and after their time in iMath showed improvements in attitude, too. Executive Director Kirk Riley speaks about 2020 Girls, a partnership between Michigan Council of Women in Technology and ITEC to promote STEM learning in after school clubs in the Lansing School District. Listen to audio of the interview here. Math wasn’t Destiny’s favorite subject, as she puts it. She’s a fifth-grade student at Lewton Elementary School in Lansing who likes to jump rope, play basketball and go to her iMath classes at the Information Technology Empowerment Center in Lansing. ITEC gives disadvantaged and at-risk youth 21st century skills and tools to succeed in life. ITEC’s variety of programs and partnerships provide opportunities for youth and families to participate in the global knowledge economy by increasing their science, technology, engineering and mathematics skills. As the demand for STEM-related knowledge and skills continues to grow, ITEC addresses this demand head-on with creativity, passion and expertise. ITEC just launched 2020 Girls, an innovative collaboration between ITEC and the Michigan Council of Women in Technology. It provides an opportunity for young women in mid-Michigan to learn about programming, engineering and design in courses led by female instructors. The program aims to send young women on a trajectory towards success in science, technology, engineering and math (STEM) education and careers in 2020 and beyond. ITEC classes have a strong influence on student attitudes toward STEM subjects. A sample of surveys administered to approximately 750 ITEC students showed a 21 percent increase in students who describe themselves as “really interested” in computer classes, and a gain of 25 percent in students who are “really interested” in science after taking an ITEC class. Sponsor an ITEC student’s summer camp tuition or a Lego robotics kit. Volunteer to help iMath students keep pace with their peers or to inspire a Lego class to create the robot of their dreams. Executive Director Kirk Riley and Michigan Council of Women in Technology Vice President Maria Jasinski discuss ITEC and MCWT’s collaborative launch of the 2020 Girls program on Michigan Nightlight. Read the full article here. The Information Technology Empowerment Center (ITEC) today announced it was awarded a $10,000 grant from the R. E. Olds Foundation to support and expand its innovative afterschool mathematics learning program, iMath. The program, now in its second year, seeks to improve both enthusiasm and aptitude in math. 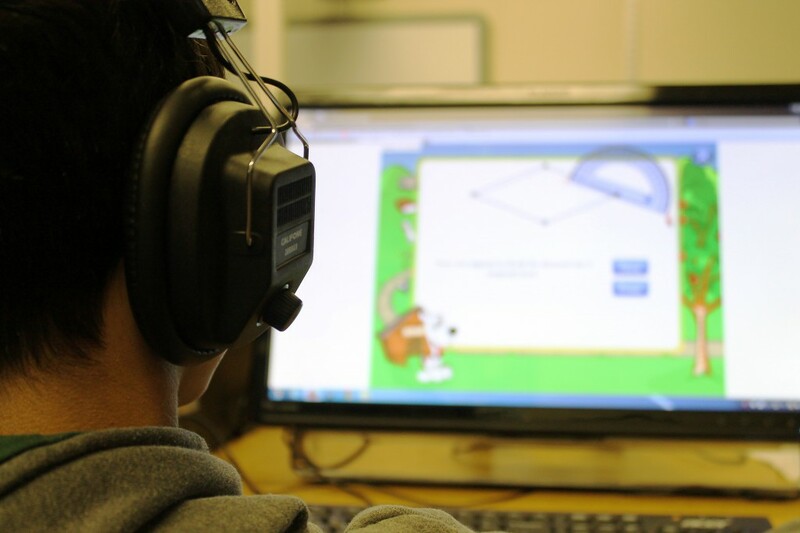 Offering afterschool math tutoring to fourth to sixth grade students in Lansing’s upper elementary schools, ITEC’s iMath program uses a web-based, adaptive tool to help students learn and practice math concepts. Students from Michigan State University serve as tutors and mentors, guiding students and challenging them to excel. Last year, students who had 80 percent attendance showed a grade level increase of 0.84 with some as high as 1.15. Surveys of the kids before and after their time in iMath showed improvements in attitude, too. Founded in 1914, the R. E. Olds Foundation is the oldest family/private foundation in the state of Michigan. It began as the Ransom Fidelity Company by R. E. Olds, the automotive pioneer who founded Olds Motor Works and REO Motorcar Company, for his growing philanthropic endeavors in his home of Lansing, Michigan as well as globally. In 2004, it was renamed the R. E. Olds Foundation, by the fourth generation of family members. The foundation continues to reflect the philanthropic ideals of Ransom Eli Olds and maintain the family name for the tri-county region in Michigan. The R. E. Olds Foundation is committed to the Greater Lansing community through the support of community-based education programs, focusing on youth and families, access to health care, animal welfare, and environment issues. Just as the Information Technology Empowerment Center (ITEC) is helping to grow minds in greater Lansing, it’s growing its team. ITEC has welcomed Amanda Levengood and Joe Hertler as Educational Program Coordinators and Mitchell Brown, PNC Bank Associate Relationship Manager, as a member of the board of directors. A science, technology, engineering and mathematics-­- (STEM) focused non-­-profit, ITEC’s mission is to provide area children and adults with the necessary skills to better prepare for careers in IT and to spark excitement about STEM. Levengood previously served as GED & Family School Partnership coordinator at the Capital Area Literacy Coalition where she ran an academic enrichment program in public housing communities. She holds a Bachelor of Arts degree from Michigan State University. Her responsibilities at ITEC focus on the iMath program and the Everyday Digital Adult classes. Hertler comes to ITEC from Central Michigan University (CMU) with a degree in elementary education. At CMU, he worked as an information technology assistant administrator and help desk representative to provide computer support to students. Hertler is responsible for coordinating ITEC’s K-­-12 programming. “As the glue between our instructors, students and partners, I’m looking forward to ensuring everyone has the resources necessary to see that our courses are effective, our partners are engaged and our students are successful,” says Hertler. Brown joins the ITEC board after serving as Associate Relationship Manager at PNC Bank for the last two years, recently returning to Lansing from PNC in St. Louis, MO where he served as Corporate Bank Senior Associate. 2020 Girls: STEM Club for Young Women, a partnership between Information Technology Empowerment Center and the Michigan Council for Women in Technology, receives a $26,000 grant. The Women’s Leadership Council of the Capital Area United Way recently awarded a $26,000 Women’s Initiative Grant to the new partnership between Information Technology Empowerment Center and the Michigan Council of Women in Technology in support of their innovative “girls only” STEM program called 2020 Girls. ITEC has conducted youth classes in the Lansing area since 2008, including several courses geared towards girls. In this partnership with MCWT, 2020 Girls will more explicitly focus on girls in the organizations’ collective efforts to address inequalities in STEM education and careers. A two-­-year student achievement grant, 2020 Girls can expect an additional award of $26,000 pending a successful outcomes report. Building girls’ affinity for STEM directly contributes to the CAUW’s goal to help students stay in school and succeed and the Women’s Leadership Council’s efforts to mobilize the power of women in their communities. Approximately 100 students will participate in programming, engineering and design activities led by female instructors. They will also take field trips to local sites where STEM is a part of daily operations and build relationships with mentors. 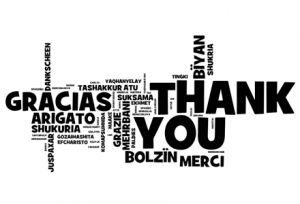 Thank you to all of you who voted for ITEC in the Lansing Lugnuts Competition. Unfortunately, ITEC did not receive the educational grant this time, but we’re hoping for next year! Congratulations to Paws with a Cause! Vote for ITEC in Lansing Lugnuts Competition! 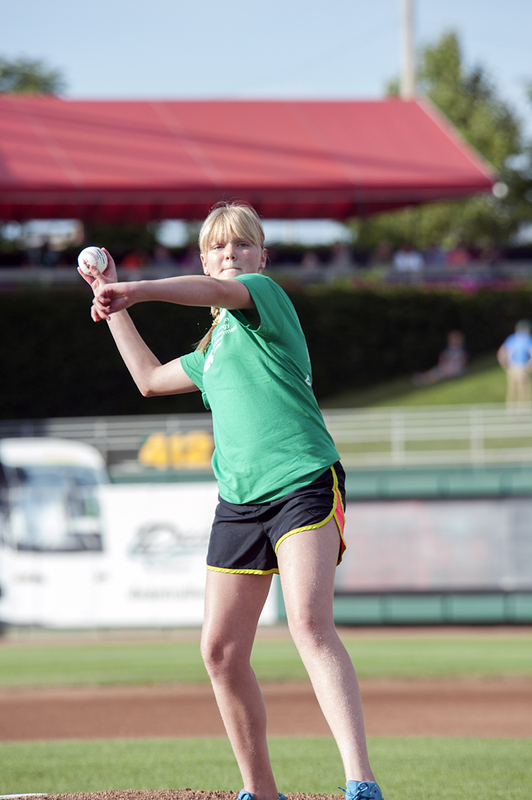 ITEC is a finalist for a Lansing Lugnuts Pitch-a-Project grant of $1,000. The Lugnuts are collecting votes both online and at their game on August 20th, when the winners will be announced during the third inning. 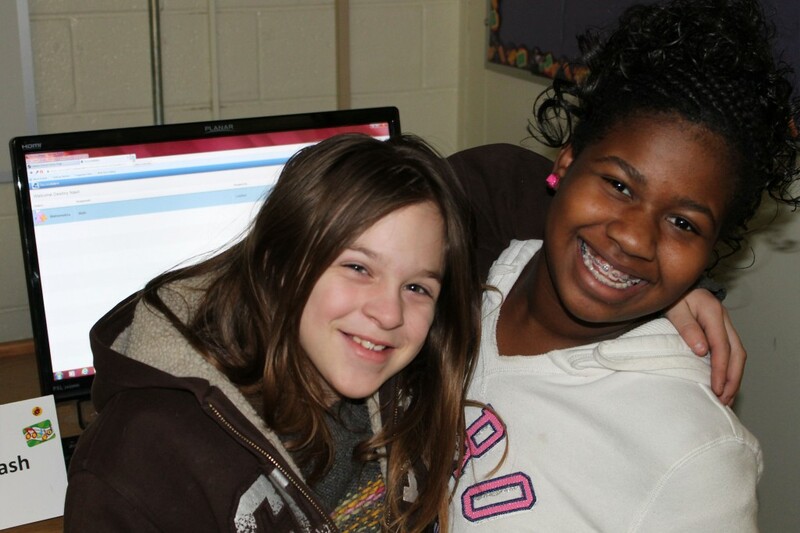 You can help Lansing students with a click of the mouse! In today’s Lansing State Journal, columnist Vickki Dozier highlighted the PNC Foundation’s contribution of $7,500 to ITEC’s youth programs. The grant will expand opportunities for Lansing youth to attend our after-school classes and summer camps over the coming year, impacting as many as 500 local children. You can view the full story here. LANSING – The Information Technology Empowerment Center (ITEC) and Delta Dental of Michigan are partnering to deliver a summer camp that shows students how science, technology, engineering and math (STEM) contribute to the creation of a favorite pastime: video games. 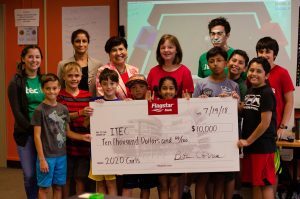 Through a $2,500 donation, Delta Dental of Michigan will sponsor ITEC’s Game Design summer camp at the Lansing Community College East, from July 29h to August 1st. Over the course of the week, summer campers aged 12-15 will learn how to create and play their own games with the help of experienced game designers. Campers learn technical skills in programming, geometry, and computation — and how skills like these can help them to better express their creativity. The camp will include a presentation from Delta on the connection between science, medicine and good oral hygiene. Delta Dental is also providing each Game Design summer camper and one of their parents with tickets to a Lansing Lugnuts game on July 30th. “Whether it’s talking to kids about oral hygiene or the inner workings of a game, this collaboration is all about getting kids interested in learning STEM,” said Kylie O’Brien, Delta Dental Grant Officer. Delta Dental has been devoted to promoting children’s oral health for over fifty years. By investing in educational projects and encouraging community involvement from their staff, they strive to teach children about dental hygiene and enrich local students’ understanding of science and math. LANSING—The Information Technology Empowerment Center (ITEC) and the Consumers Energy Foundation are partnering in an effort to empower Lansing K-12 students in after-school programs and summer camps designed to increase interest and proficiency in science, technology, engineering and math (STEM) through innovative, IT-based tools. 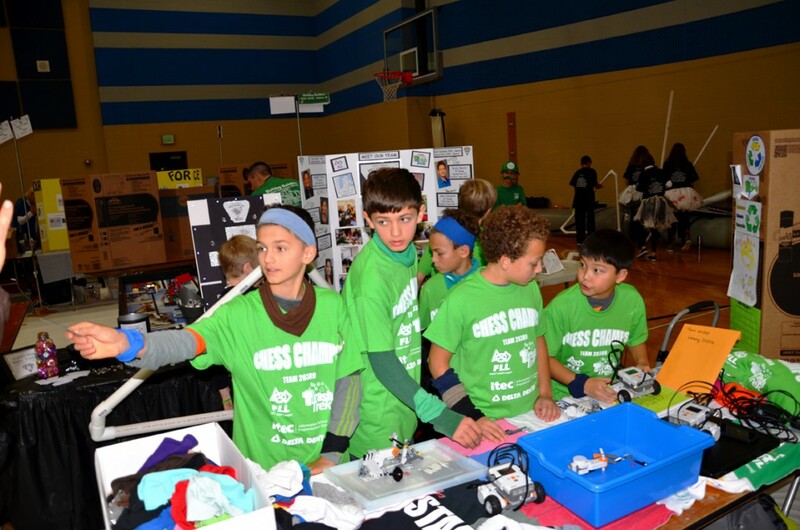 The $15,000 grant from Consumers Energy Foundation will provide funding for ITEC K-12 Pathways: Building Tomorrow’s Scientists & Engineers project from June 2013 until May 2014. Pathways activities include after-school classes and summer camps in such subjects as Lego robotics, video game design, and digital filmmaking. The project aims to serve 975 students within the Capitol Region and Greater Flint region.